I took part in a panel discussion at the Insight Show, discussing current and future trends for the research industry with three other young researchers. We all came from different backgrounds, with different careers and specialisms, and the session was a really inspiring opportunity to share thoughts on our common industry. Plenty of food for thought! So what does the future hold for our industry? Client relationships are now more consultative than ever. Gone are the days of transactional deliveries – we’re now involving clients at all stages, be that with exploratory hypotheses-generating workshops, through to analysis discussions. With that in mind, we’re moving in an exciting direction where our ability to turn insights into strategic recommendations is key, by understanding clients’ worlds and ensuring that what we deliver can really make an impact. So we ask - how can our work make an impact? In fact, impactful outputs are a hot topic for us at Kadence right now, as we’re striving for everything we produce to truly be an ‘Insight worth sharing’. Whether that’s a succinct and actionable report, to a summary video bringing the client’s customers to life, these are all powerful tools which can be used to communicate insight that is both memorable and valuable. An interesting theme asked by our audience: can Qual and Quant both justify their places in the future of research? We’ve seen news on the rise of Big Data, and in my view that’s also been matched with growing acknowledgement of how Qual still adds richness, context and value. 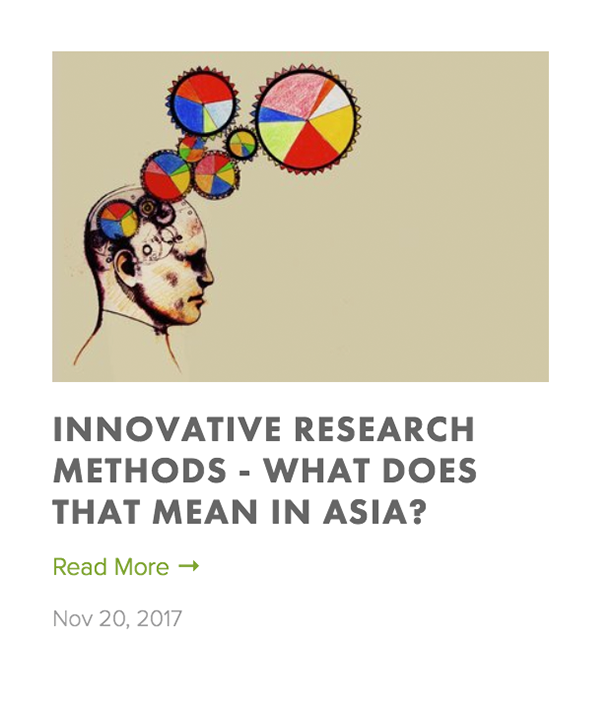 For all of us, particularly those of us in mixed methods agencies, we can’t see a future without both disciplines and predict a mixed method approach will be increasingly vital – complemented by other emerging (and exciting) disciplines. We should embrace these new disciplines – behavioural economics (BE) and sciences, and semiotics to name a few. While we agreed these shouldn’t be used without necessity and value, they can offer fresh perspectives alongside traditional research methods. With my background in Psychology and ever-growing interest in BE, I’ve noticed how valuable these perspectives can be for so many topics – loyalty, brand perceptions, behavioural change all highlight how we can’t always predict how people will behave! So what can an ‘exceptional’ young researcher bring to our industry? ‘Curiosity’ really was the word of the day to describe current and future research talent – asking questions, challenging views and always digging deeper to help produce the most insightful story. At Kadence we ask “what do you think?” to every team member, to give everyone a voice in shaping that narrative. Another way we can expand our thinking is by exploring cultural nuances, to consider the context behind every research finding. Any opportunity to immerse ourselves in the culture, or seek local experiences from those who do, can add real richness and bring the research to life. We covered a lot of ground in 45 minutes, and I found it a great experience to reflect on our industry and its future. As I said, plenty of food for thought!